Fashion Bug are offering 15% off your entire online purchase. Just enter promotion code 776146706 at checkout. Conditions apply. Offer valid through 11:59 P.M. EDT on April 26. 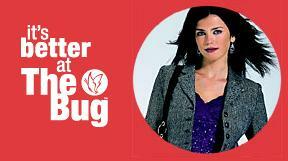 Visit Fashion Bug and see what's Hot now in plus, misses and juniors. Whenever you visit Fashion Bug it's always a good idea to also browse through their Clearance area. this store does not even ship internationally???? Fashion Jewellery Up To 50% Off!